The Business Aviation Convention and Exhibition (NBAA) is considered “the world’s largest and most important business aviation event.” This year, the show will take place in Orlando, Florida, on October 21 –23, and various members of the STS Aviation Group team will be there. 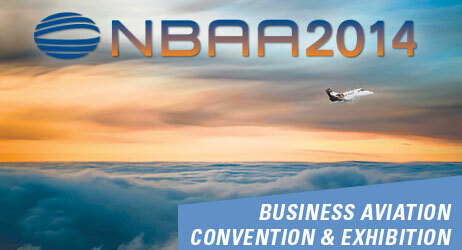 “Ranked as the fourth largest trade show in the United States, NBAA 2014 will feature over 1,000 exhibitors that will showcase the latest products and services” in the Business Aviation industry, according to the conference’s website. There will also be 100 side-by-side business aircraft at the static display, as well as countless opportunities to meet with more than 25,000 business aviation professionals and attend dozens of educational sessions and seminars. If you are interested in attending this year’s event, we encourage you to register online here: http://bit.ly/1rXKoay. On-site registration is also available for an additional cost. To make an appointment to meet with an STS team member at the convention, please contact STS Component Solutions‘ Marketing Coordinator, Andrea Leone, at andrea.leone@sts-cs.com. Thanks so much for taking the time, and we look forward to seeing you in Orlando! Download the official NBAA 2014 mobile app! Get exhibitor information before the show!